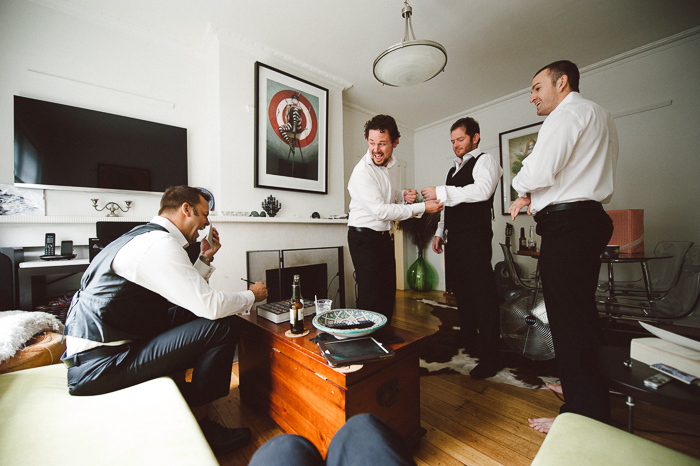 Sian and Jason's joyful and vivacious wedding was reflected in the explosion of colour they used to style the event. 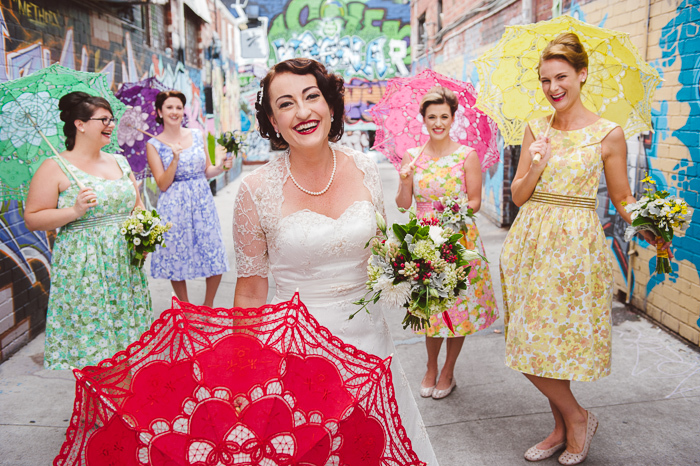 Sian made her own unique 50’s style bridal gown. 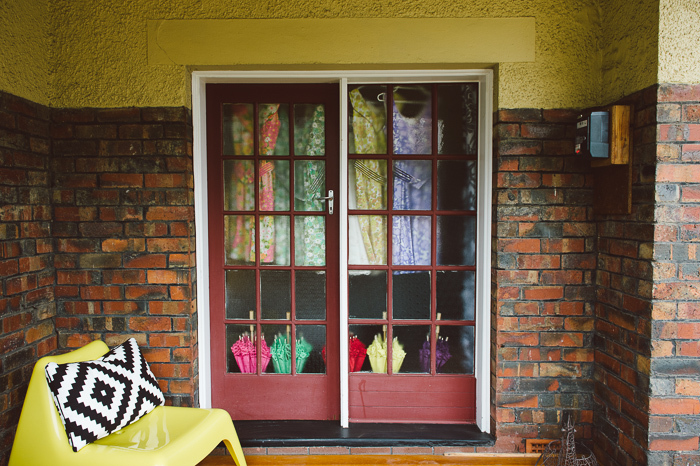 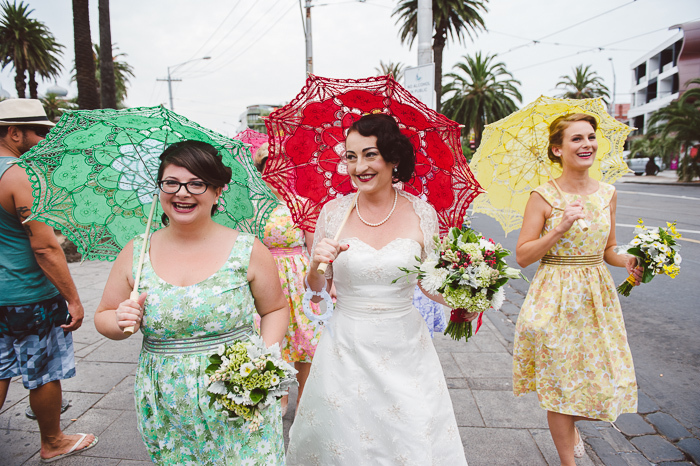 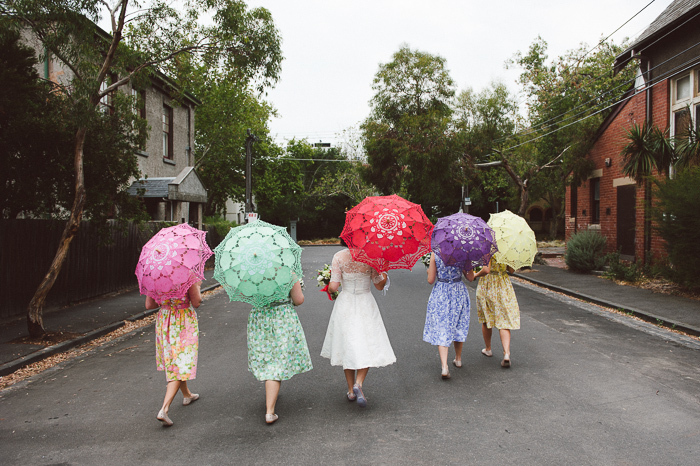 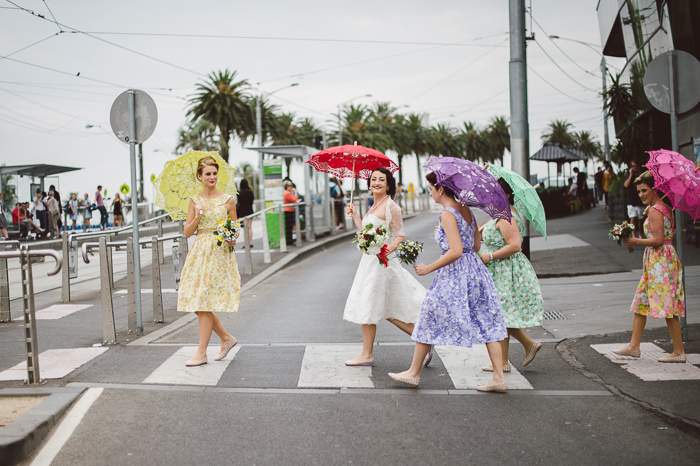 The bridesmaids wore a range of candy-coloured floral dresses and carried matching flowers & parasols. . 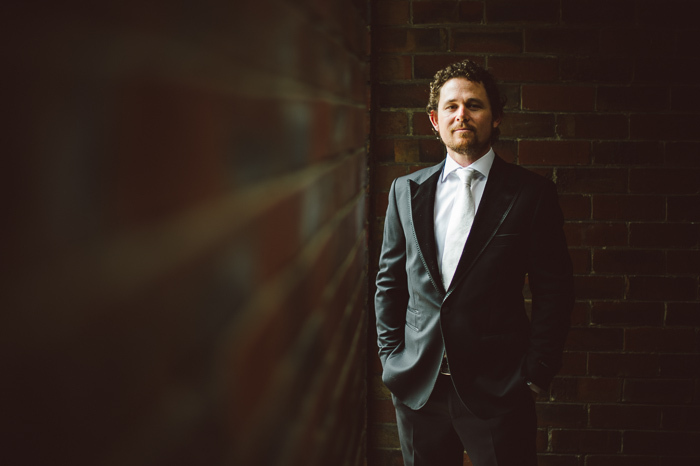 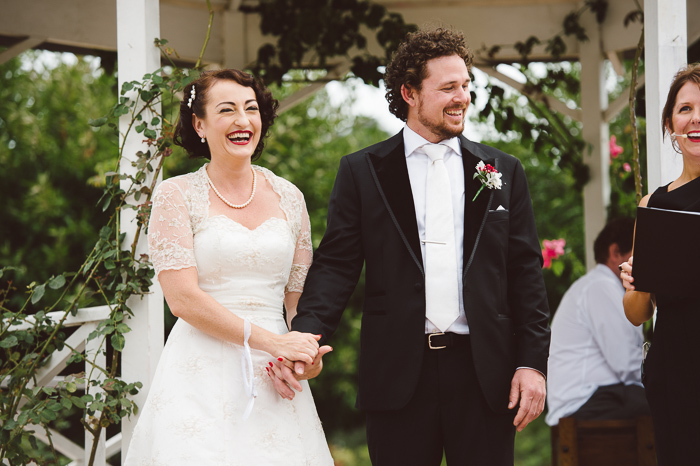 The wedding had a rustic, vintage-inspired theme, with incredible attention to detail. 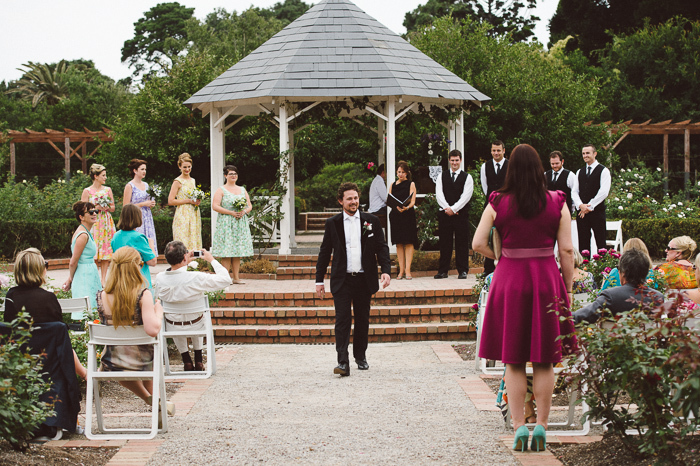 There was a true party atmosphere, with guests arriving at the St Kilda Botanical Gardens to enjoy the ceremony from white wooden chairs scattered amongst the rose bushes. 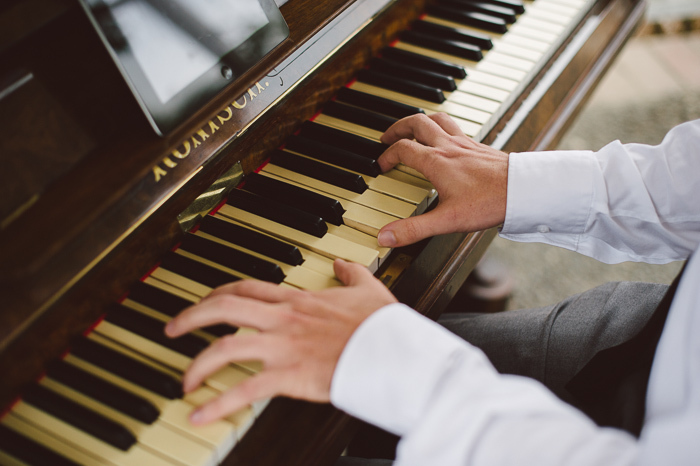 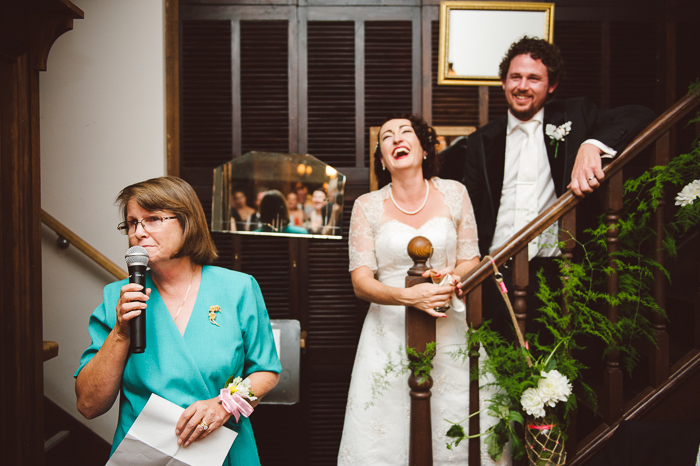 Sian had even organised a piano and pianist to play during the ceremony. 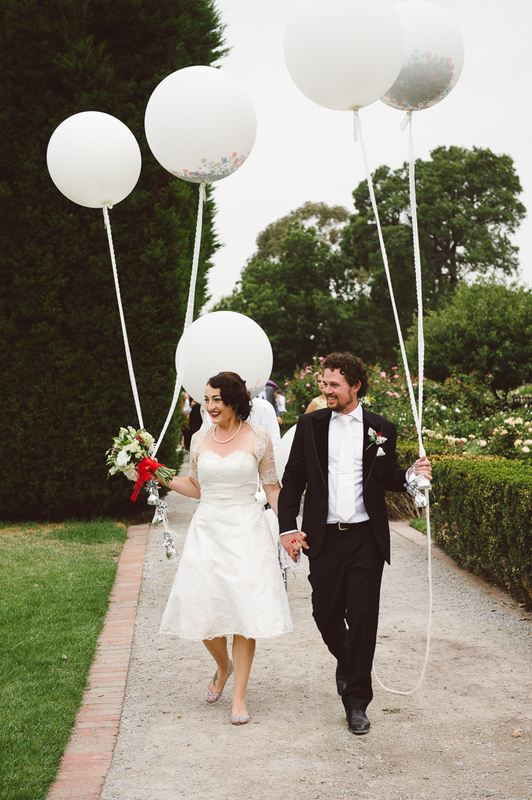 The area was dotted with huge confetti-filled helium balloons, which were popped after the bridal party photos. 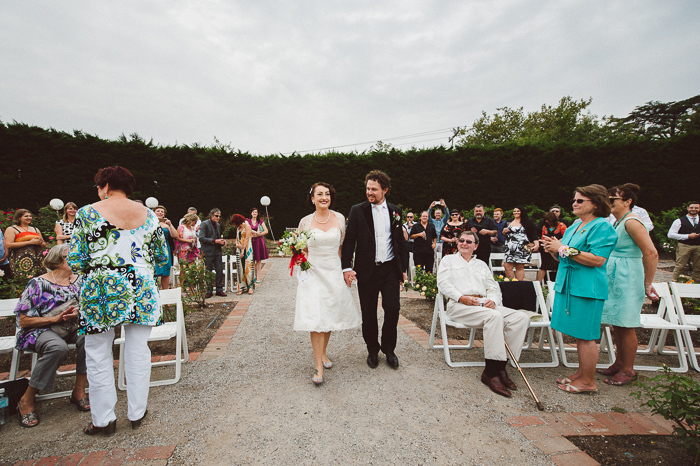 The couple and the guests then strolled through the gardens to the reception at The Local Taphouse. 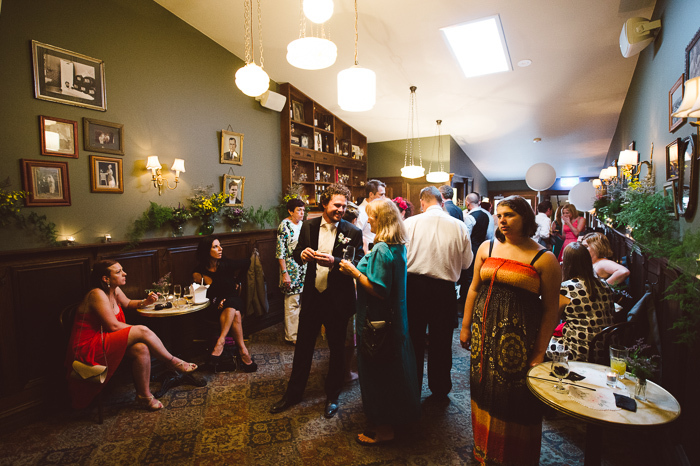 On arrival, the party atmosphere continued with stunning floral arrangements spread through the rustic venue, and a range of boutique beers on tap being offered. 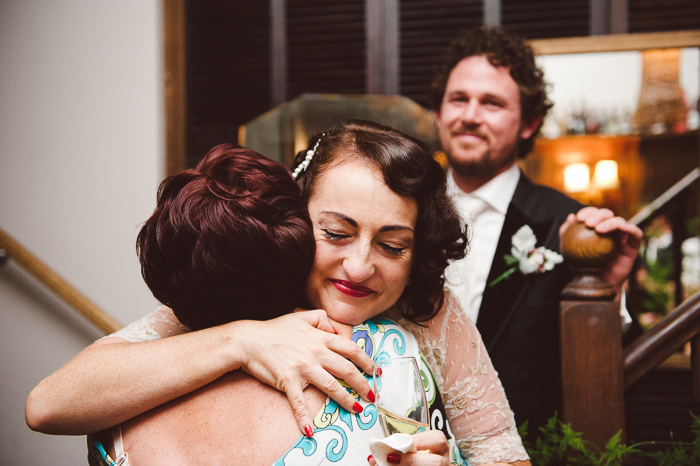 Sian and Jason threw an incredible party to celebrate their marriage! 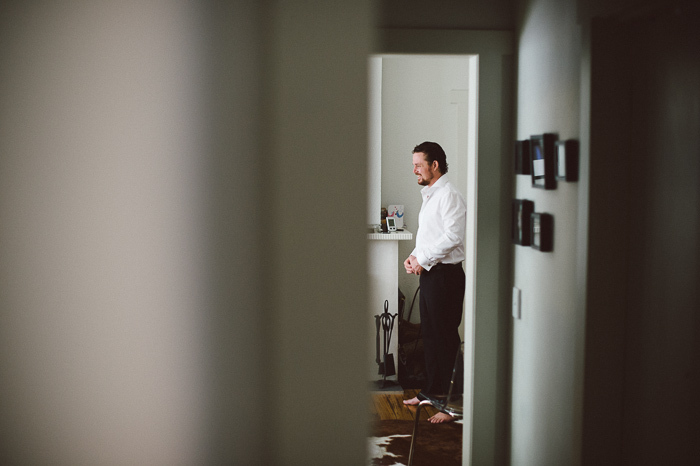 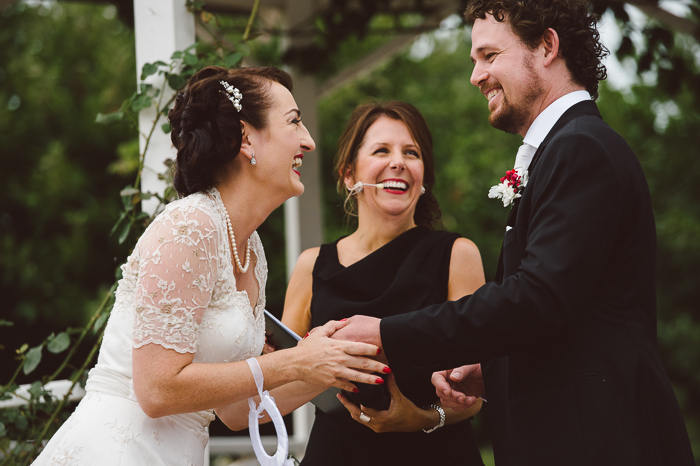 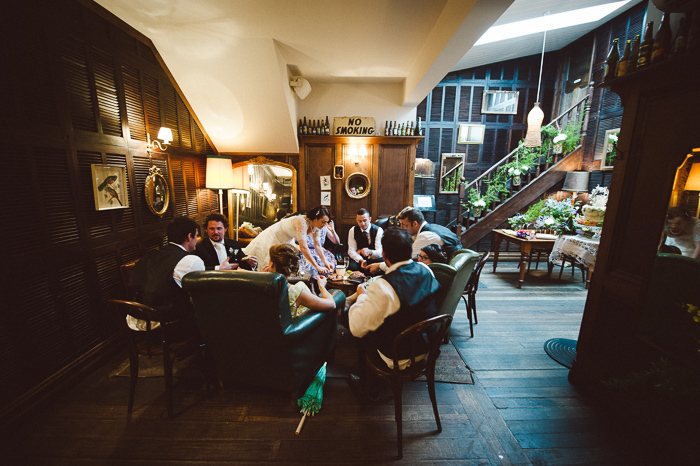 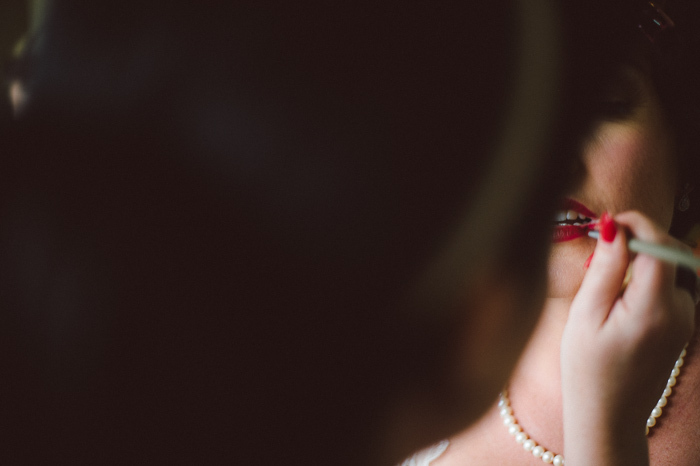 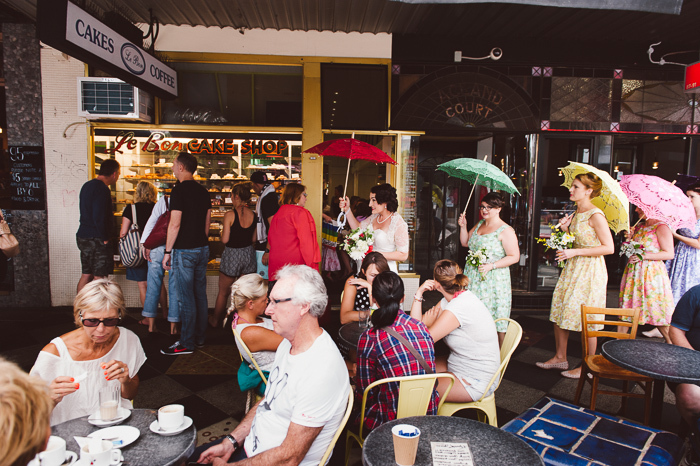 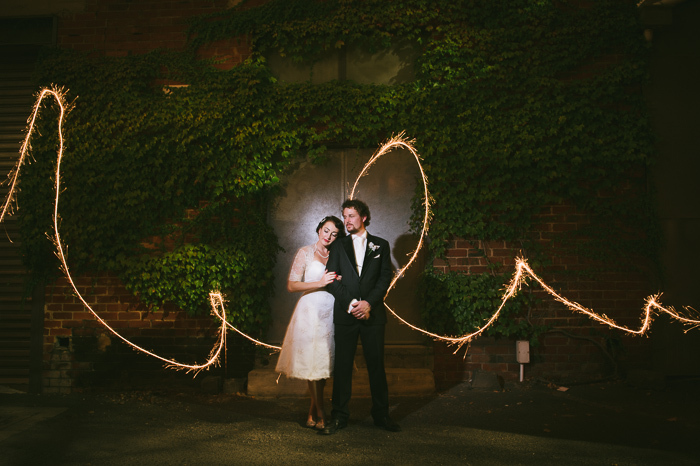 Sian + Jason's wedding is also featured on Polka Dot Bride.